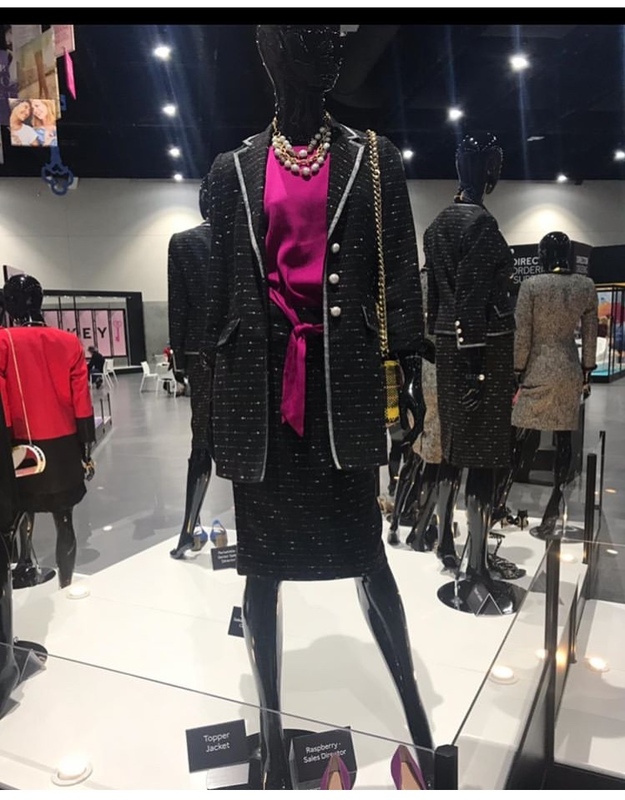 Here is a look at the new sales director suit for Mary Kay’s 2019-2020 year. 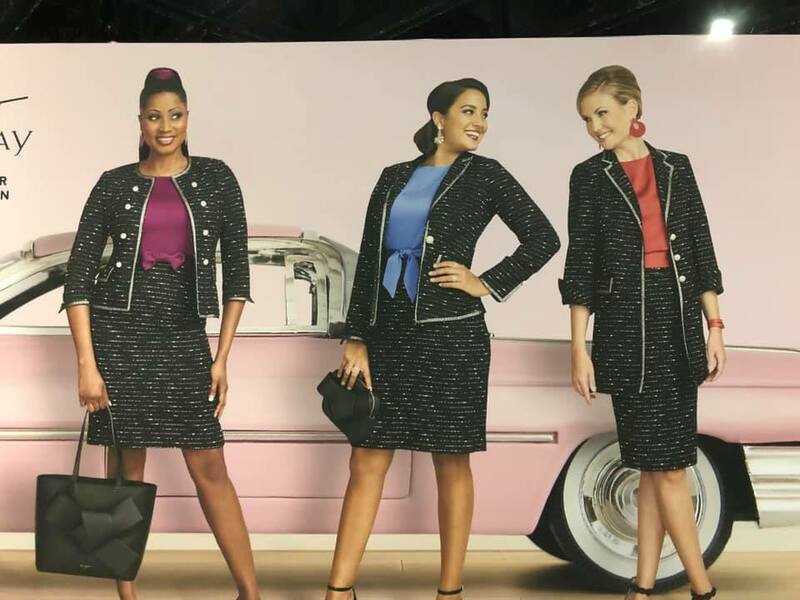 Become a Mary Kay Sales Director in One Month! How Much Do Sales Directors Work? I’ve not seen one person looking good in it. The fabric looks stiff on them, and it just hangs oddly. At least the color is good. I have always hated the different shirts to indicate rank. The horizontal stripe weave and form-fitting cut makes the models look fat. Just imagine that on real people. Ugly again. Same thing as prior years(s) just a different color….uggg. Never understood how anyone thinks red, white and black goes together for red jackets either. Couldn’t pay me to wear those “uniforms”…..ugggg again. 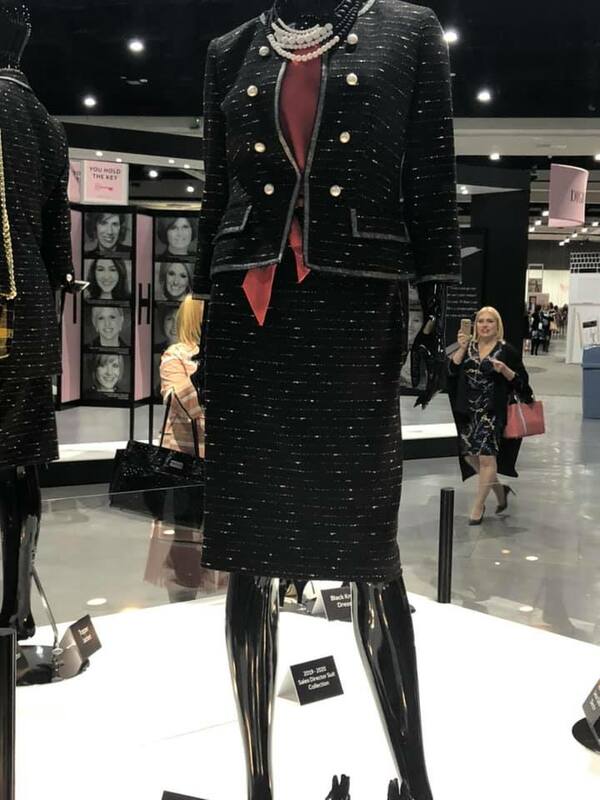 They look like recycled NSD suits. About $400 for a suit and a shirt. And it’s a required purchase for all directors, right? If you want to appear on stage at any official event, yes. Not only that, look at all the different styles. Suit style and blouse color announce your rank in MK circles. (The non-MK world doesn’t care about that.) I notice most of the suits are black, but there are grey suits in the background. Are the grey suits for the NSDs? if you “achieve” a higher rank during the year, you need to get the new suit style that matches your new rank. $400+ when the suits first come out, and another $400+ before the next event so you can be admired for your “achievement.” Of course, as a brand-new SSD or ESSD you’ll be so pleased with yourself that you won’t mind spending the extra money, right? 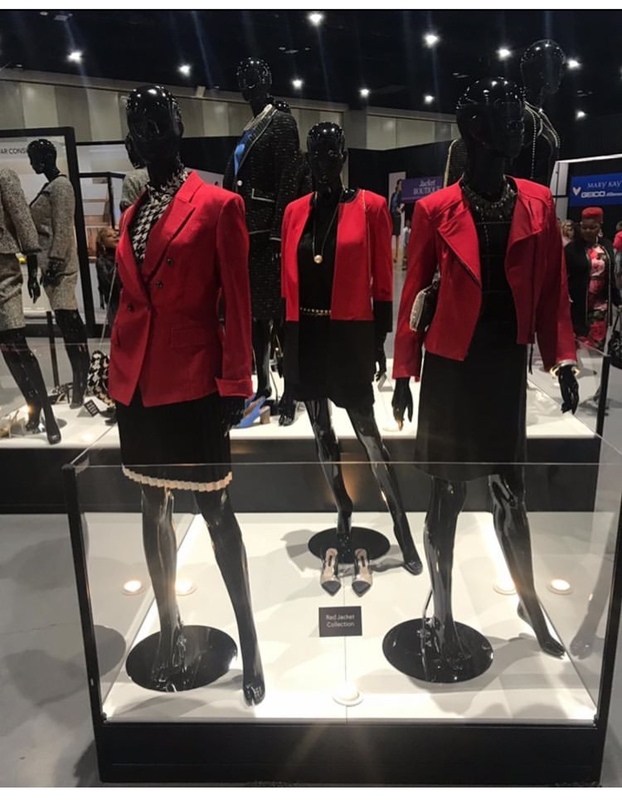 The Red Jacket display is interesting. I thought the preferred store for buying Red Jacket suits was the Goodwill Store. I saw a gorgeous Calvin Klein jacket in Macy’s today that was marked down (January!) from $149 to $45. Pair it with the slacks and accessories, and look GOOD for what, $175? These suits are ugly, ugly, ugly. Who else remembers the ugly brown suit that kind of look like sofa fabric and the shirt they went with it was the brown and black tiger stripe but It had like a breast feeding flap and I could never understand what in the heck that was for! I think that was the year 2013 or 14 it was so stiff and so ugly and so gross and I could not believe I was forced to pay 300+ dollars for that crap !! Do you remember the royal blue one with the tuxedo lapels? Or the purple one? We had to wear some hideous stuff, didn’t we? I do like the blouses. I’m curious now about the color representing ranks. Which is which? Whiskey Tango Foxtrot. They pay for that stuff?! Pink Koolaid is being served to the masses. Everyone pays AND MK Corporate makes a tidy profit on every purchase. The best part for MK Corporate is that suits are one thing that won’t be returned for refund when they quit. What’s up with that bow thingy at the bottom of the blouses? Especially with two random pieces of fabric awkwardly hanging out when the jacket’s closed? I was wondering that as well; it looks bad. And the red jackets look so cheaply made. You’d think they’d do a better job ironing the one with the huge lapels. Over time, those bows are going to start looking so bad, and the blouses are going to ride up. Midriffs in Mary Kay, anyone? Oy with the pencil skirts already! The fabric looks like my grandmother’s sofa, circa 1960 — scratchy, with little metallic bits that poked if you sat on it wearing shorts — and then they make it worse with pencil skirts. If you have to wear something that ugly, can it at least be comfortable and somewhat flattering on the rather large percentage of women who don’t like having their legs tied together at the knee? 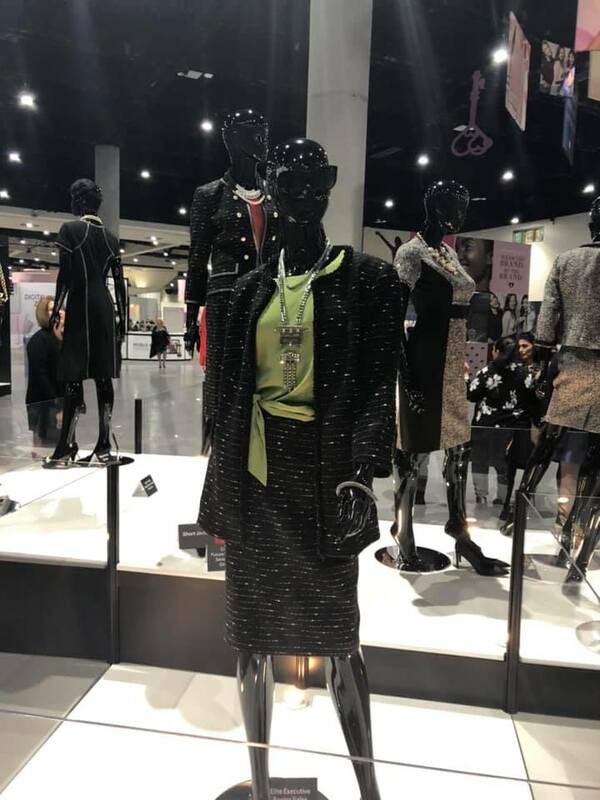 So why did they use the same supplier as LuLaRoe?